It is a general feeling in India that bad time has almost arrived for their expanding economy. The problem arrived on the Indian shores as the global economy is wobbling once again. Once the land of opportunity, Unites States is facing the problem of increasing rate of unemployment, The rising giant in the neighbourhood, China is facing hampering exports and a downturn in real estate industry. Other rising economies like Brazil and Russia are experiencing their economies enervated as well. Among all this Europe is considered to be experiencing worst time. The continent is battling with a sovereign debt crisis which if not dealt correctly could damage the continent’s economic and political union. Recently petrol prices were increased in India, making it to the league of few countries with one of the most expensive petrol prices. Massive price rise of commodities of daily use and food in past eight years has tightened the purchasing power of the Indians. Plunging stocks and weakening Rupee has added to the worry as well. In this globalized world, it is normal to see the economies of various countries or regions getting affected due to problems in the other. India which had done relatively well in 2008 recession survived many external shocks and continued moving on its growth path. However, the situation this time is different in the country. The current downturn in Indian economy could have been avoided or could have been brought down to minor level, since it is not solely dependent on the European crisis but also on some wrong government policy changes as well as internal political turmoil. As many senior leaders of the ruling party are coming into picture for various scams and corruption charges, the current government has adopted a defensive stance. Everyday protests against the government policies and differences among the coalition government has made the government busy in making policies to save itself. India is viewed as a rising global powerhouse and is considered as one of the countries which can assume a major role in driving the world’s economy. Recently Indian officials were predicting growth rates of 9 percent or higher. It was a big opportunity for India to make itself more attractive for foreign investors who were hesitating in putting money into declining advanced industrial economies in the west. However, the government made mistakes and missed opportunities to better position India as the global economic landscape shifts, accepts Kaushik Basu, the government’s chief economic adviser. Just for an instance, the finance minister Pranab Mukherjee, struggling with the pressures to raise revenues and to check the rising fiscal deficit, released a budget that proposed new taxes on foreign entities in India in March, including levies on past deals that the Indian Supreme Court had ruled were non-taxable in the country earlier. Foreign investors were stunned, and they began to pull out their money from Indian stocks, this mass outflow of capital is one reason why the rupee has slipped down by 13 percent since the end of February. Not just this, the very next month of Pranab Mukherjee announced the changes in the budget, S&P lowered India’s credit rating to negative (BBB-) from stable (BBB+). S&P credit analyst Takahira Ogawa said: “The outlook revision reflects our view of at least a one-in-three likelihood of a downgrade if the external position continues to deteriorate, growth prospects diminish, or progress on fiscal reforms remains slow in a weakened political setting.” the S&P also lowered the rating outlook of the country’s 10 top banks which includes the State Bank of India (SBI), ICICI Bank and HDFC Bank. Another major problem lies in the age old bureaucracy in the Indian system, long procedures for official approval and acquiring licenses has enervated the enthusiasm of many foreign investors. Industries like pharmaceuticals, Information technology and consumer goods are prospering in India as it doesn’t require much official approvals and licenses, however in case of manufacturing, mining, infrastructure development India is lagging behind. And manufacturing and mining are those sectors which will ensure the growth even in the tough times. Long procedures for gaining approval and licenses are not the only barrier, if the investor has a small bad luck and falls in some legal dispute then it is very difficult to come out quickly as Indian courts take equally long time in processing. Thus, not only foreign investors, but also Indian corporations are eyeing projects outside to invest. According to a report by NDTV Profit, foreign investment in Indian stocks and bonds was only $16 billion in 2011-12, compared with $30 billion in 2010-11. The trend is continuing even with a faster pace since March 2012, when the Finance Ministry, trying to stem a rising budget deficit, proposed a raft of new taxes on foreign institutions doing business in India. Fake currency being pumped inside India from neighbouring countries sponsored by ISI is also one of the reason of depreciating Rupee. ISI aims to make Indian economy hollow by pumping fake currency in the system. Almost every month Army and Police ceases fake currency, but no one knows how much has already been pumped and how much is being pumped inside Indian economy. As counterfeited currency makers have advance technology and ink that can replicate Indian currency notes with 99% accuracy. Although it is true that Indian economy is experiencing a low, it would be wrong to say that it is the end of Indian growth story. While some of the strongest European economies are falling, Indian economy growth rate has just slowed down from 9%-10% to 6%-7%. 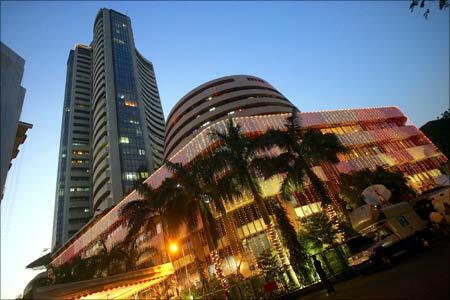 It is expected that Indian economy will be pulled back to its track latest by 2013.